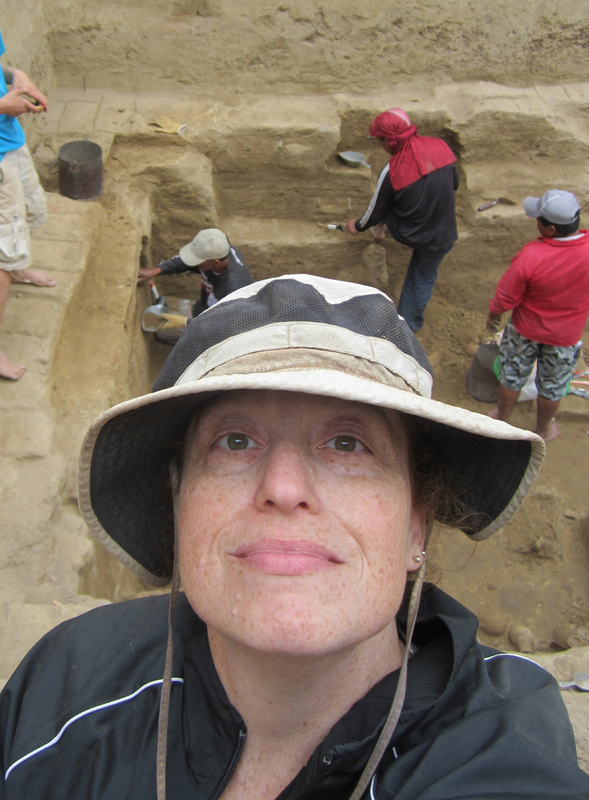 Dr. Sarahh Scher, assistant professor of art, spent the month of July through the aid of the UIU Summer Scholarship Stipend as a student—participating in the San José de Moro Archaeological Field School in Peru. Scher worked as a member of a field crew, excavating a unit at the site of San José de Moro, occupied by the pre-Columbian Moche people from approximately 100 to 850. As a dig worker, Scher learned how to carefully uncover features and objects, how they are catalogued and analyzed in the laboratory, and how to walk a full wheelbarrow over a wooden plank! 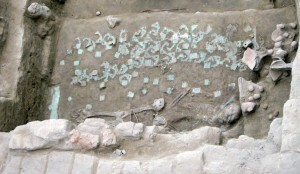 The last week of the field school, they unearthed the tomb of a high-status Moche woman—called a priestess. She was buried in a chamber tomb with a wooden-beam roof, along with many ceramics and copper ornaments. Her casket had been covered with a textile with copper ornaments sewn to it, and a bird-shaped headdress ornament, as well as a silver cup and dish were found. This is the 12th Priestess found at the site in 20 years of digging, and further cements San José de Moro’s unique place in Moche archaeology—a site where there is a multi-generational tradition of high-status women in power. This is different from other Moche sites throughout north coastal Peru, where men appear to have been in charge of the sociopolitical system. The discovery was big news, and the press showed up to photograph the tomb and talk to Scher’s unit chief, Julio Saldaña, an archaeology student at the Catholic University of Peru. Scher brought this experience beck to her classroom with pictures as well as stories to teach her students about the methods of archaeology and knowledge is gleaned from the past.